1. Your Private Pilot License is an investment in yourself. In this day and age we all want things quickly with immediate satisfaction. To join the ranks with the aviators you have to put some effort into your new skillset. There is some basic studying and time commitment required. Like any hobby flying takes discipline and a relentless effort to become a great pilot. 2. When you finish your Private Pilot License it’s not the end of the road. They call the Private Pilot License a license to learn. That’s exactly what it is. A good pilot will never admit to knowing it all as there is always more to learn. The best part about flying is that there is always more knowledge to obtain and It’s a lifelong hobby. Once you’ve achieved the title of a pilot you’ll never lose it. Every 2 years you have to do what is called a flight review to keep your license current. The flight review is basically a checkout flight with an instructor to make sure that you are still a safe or competent pilot. Get your Private Pilot License and have it for life. 4. You can travel almost anywhere day or night with passengers. The freedom to fly is what intrigues most of us. Want to take a day trip to do some sight seeing? Go to a friends cabin? Head to Kansas City for some Barbeque? It’s all possible with your Private Pilot License. Your dream destination is obtainable by imagining where you’d like to go and then getting in your airplane to fly there. 5. The community is fantastic. You will have the chance to make new friends, go to social events, and even big national events such as Osh Kosh and Sun N Fun. You’ll know a pilot when you meet one because it’s such an interesting piece of their life. From there you’ll always be able to find common ground in a conversation. Having your Private Pilot License is a great way to bond over shared interests. Inflight Pilot Training strives to provide the best pilot training available in the Twin Cities, and we are committed to providing you great value and exceptional service through continuous improvement and a focus on education. 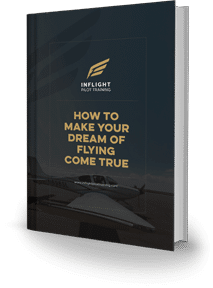 Earning your private pilot certificate is a huge achievement, but it is also a significant time and cost commitment. Time: The FAA mandates that you have a minimum of 40 hours of flight experience for a private pilot certificate. The national average for earning a certificate is somewhere between 50 and 60 hours. The higher-than-minimum average is due to several factors, such as delays in training, how often you can train, and how much studying you can do on your own. Having two or more lessons per week will reduce the amount of review in each lesson and will ultimately result in less time and cost. Once the requirements have been met, it is up to your instructor to determine if you are ready to take the practical test. In addition to the practical exam (flying demonstration) with a FAA examiner, there is also an oral exam and a written test. There are several paths you can choose to get the required knowledge for the written and oral exam. The most traditional way to go about getting the knowledge is a ground school. Inflight Pilot Training offers low-cost ground school classes, so you can take a ground school to find out if this is for you or not. Typically our ground schools meet twice a week in the evening for five weeks. If our ground schools do not fit with your schedule, we also have video-based ground schools available online to watch at your own pace. Aside from the ground schools, there is also computer-based home study materials available for sale, as well as printed and digital test preparation guides. The last way to go about getting the knowledge is one-on-one with one of our instructors. We at Inflight tailor our instruction to you, as an individual, because we understand that not everybody learns in the same way or at the same pace. There will usually be some one-on-one time included with any one of the approaches. Cost: As described earlier, there is a lot of variation on how one goes about getting their license, and there is a corresponding variation in cost of training. Factors affecting the cost are how often you train, which aircraft you choose to fly in, which approach to ground training you take, etc. A ballpark average for the total, all-in cost of flight training is probably somewhere around $10,000. This cost is spread out over several months. Running out of money to fly is a common issue among students, and unfortunately slowing down training will only increase the cost. If money may be an issue with your training, an organization called the Aircraft Owners and Pilots Association offers financing for earning your pilot certificate. More information can be found at http://finance.aopa.org/Flex-Aviation-Loan. Inflight Pilot Training bills per hour for both flight and ground instruction. Payment for each lesson is made at the end of the lesson. Current rates for aircraft and instructor are found in both the Inflight office as well as posted on our website. Each flight lesson consists of a pre-flight briefing, the actual flight, as well as a post-flight review. The flight portion of each lesson is approximately 1 to 1 ½ hours with another ½ hour of ground for the pre and post flight briefings. 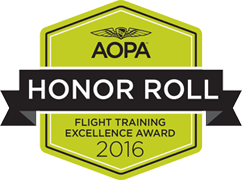 A great way to help reduce the cost of your flight training is to join our flying club. By being a member of the club, we discount the aircraft rental rate by $20/hr and the instructor rate by $10/hr. The fee to join is $200, and the monthly dues are $50. If you pay the dues for the entire year upfront, we give you two months of dues free. Joining the club will pay for itself if you fly more than 3 hours per month. We at Inflight set ourselves apart from our competition by providing expert instruction that is value driven. Flight instruction is all we do, so nothing means more to us than seeing our students progress and succeed as pilots. We cater to the entire range of pilots, from those just wanting to fly recreationally on the weekend to those who want to make aviation a career. Please talk to an Inflight representative if you have any further questions regarding flight training, or obtaining advanced training.